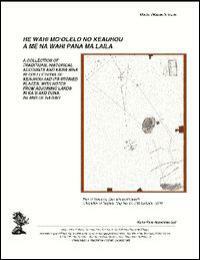 The following collection of archival and oral historical records was researched and compiled by Kumu Pono Associates LLC, at the request of Ms. Ulalia Woodside, Land Legacy Resources Manager (Land Assets Division), of Kamehameha Schools. 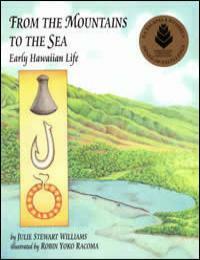 The research focused on two primary sources of information—historical literature, and summary of oral historical interviews with kupuna and kama?aina, known to be familiar with the history of Keauhou, and neighboring lands in the Districts of Ka?u, Puna, and Hilo, on the island of Hawai?i. The oral historical component of the study is based upon two historical interviews and a summary of an interview program conducted specifically for Hawai?i Volcanoes National Park between 1997 to 2000 (Langlas and Waipa, ms. 1997; and Langlas, 2003). 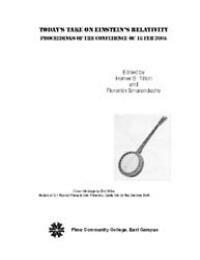 The research brings a wide range (though not exhaustive) of historical references into one manuscript, with written accounts dating from the 1820s and oral historical accounts recalling traditions and personal experiences dating from the 1870s. Introduction. 1 -- Background. 1 -- Approach To Conducting The Study. 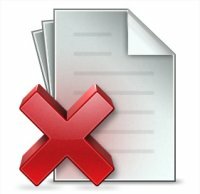 3 -- Historical Documentary Resources. 3 -- A Cultural-Historical Synthesis Of Keauhou And Neighboring Lands. 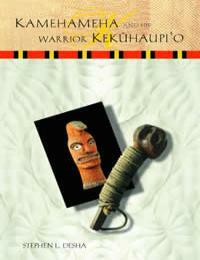 6 -- Native Traditions And Historical Narratives Of Keauhou And Vicinity. 9 -- Storied Place Names Of Keauhou. 9 -- 1. Na Moolelo (Native Traditions And Historical Accounts). 12 -- "He Meie I Kilauea". 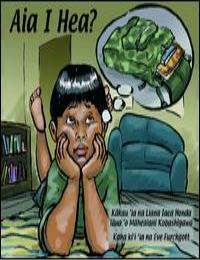 12 -- He Wahi Puolo Lwi. 14 -- "Volcanic Manifestations—Pele". 16 -- Stone For Koi (Adze) Collected At Kilauea. 19 -- Battle Between Pele And Kamapuaa-The Naming Of Halemaumau. 19 -- Why The ohelo Is Sacred To Pele. 26 -- The Explosive Eruption Of Kilauea In 1790. 31 -- Kapiolanis Visit To Kilauea - Breaking The Kapu Of Pele (1823). 32 -- First Visit By Kamehameha Iii To Kilauea (1828). 33 -- Chiefess Bemice Pauahi Bishop's Visit To Kilauea In 1845. 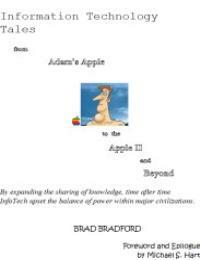 33 -- Historical Accounts Of Kilauea And Attachment To Cultural Landscapes. 34 -- He Kanikau. 34 -- The Eruptions, Earthquakes And Tidal Waves Of 1868. 35 -- "Na Papahi Lei E Kini Kohu Ai"-Lei Of Lehua And Painiu Noted At Kilauea. 39 -- "Na Wahi Pana O Ko Kakou Lua Pele Kaulana" Storied Places Of Our Famous Volcano (1886). 40 -- Place Name Accounts Of Keauhou And Kilauea Recorded In "Kaao Hooniua Puuwai No Ka-Miki" (1915). 43 -- The Naming Of Uwekahuna, Kaauea And Kahualoa. 44 -- -- The Naming Of Pohakuloa. 45 -- Pele Arrives In Hawaii, And Makes Kilauea Her Home-The Naming Of Noted Places At Kilauea. 46 -- ailaau-The Forest Eater. 48 -- The Explosive Eruption Of Kilauea In 1790-Recorded In The Tradition Of Kekuhaupio (1922). 49 -- He Moolelo Kaao No Hiiaka-I-Ka-Poli-O-Pele. 51 -- Ii. Historical Observations (Accounts Recorded By Foreign Visitors And Residents). 54 -- Archibald Menzies Travel Through Kapapala In Ascent Of Mauna Loa In 1794. 54 -- Kilauea And Environs Described In The Journal Of William Ellis (1823). 57 -- Makoa Fears Volcano Gods. 57 -- Volcanic Activity At Ponahohoa [Kapapala].. 58 -- The Guide Fears Pele.. 58 -- A Cave Residence At Kapuahi [Kapapala].. 61 -- A Cave Lodging At Keapuana [Kapapala].. 61 -- First View Of Kilaueas Fires.. 62 -- Craters And Active Volcanic Cracks [Keauhou].. 64 -- Eating Ohelo Berries.. 65 -- Native Fears Of Pele.. 65 -- Kilauea Described.. 65 -- Native Tribute To Pele.. 65 -- Descending Into Kilauea.. 66 -- Native Fears Of Pele Again.. 68 -- Fresh Water Encountered.. 68 -- Exploring North Of The Crater [Shelter Made For Party].. 69 -- The Sulphur Banks.. 69 -- Flocks Of Wild Geese.. 70 -- More Superstitious Fears Of Pele.. 70 -- Native Traditions Concerning Volcano.. 72 -- Mythology Of The Volcano.. 73 -- -- Volcano The Abode Of The Gods.. 73 -- Offerings To The Volcano Gods.. 73 -- Vengeance Of The Volcano Gods.. 74 -- Combat Between Kamapuaa And Pele.. 74 -- Destruction Of Keoua's Army.. 74 -- The Explosive Eruption Of 1790.. 74 -- Native Visions Of The Volcano Gods.. 75 -- Dimensions Of The Crater.. 75 -- Kilauea-Lki Described.. 78 -- First Whites To Visit Kilauea.. 79 -- Description Of Approaches To Puna Graveling Through Keauhou And apua]. 80 -- Kapiolani's Visit To Kilauea.. 81 -- A Controversy With A Priestess Of Pele.. 82 -- Rum Worse Than Pele. 83 -- Pele Still Dreaded.. 84 -- Bones Thrown To Pele And The Sharks.. 85 -- Levi Chamberlain's Account Of Kapiolani And Pete's Priestess (1824). 85 -- J.F. Goodrich's Account Of The Missionary Visit In 1823 And Description Of Kilauea In 1825. 86 -- Botanist, James Macrae At Kilauea In 1825. 91 -- J.F. Goodrich's Visit And Description Of Kilauea In 1829. 94 -- Gemit P. Judd's Description Of Kilauea In 1830. 97 -- Titus Coan's Description Of Kilauea And Encounters With Followers Of Pele In 1837. 98 -- The Mountain Lands Of Keauhou And Kilauea Described In 1840. 99 -- Kilauea And Mauna Loa Visited By The United States Exploring Expedition In 1841. 101 -- Gemit Judd’s Notes On The Wilkes Expedition, And His Brush With Death At Kilauea (1841). 121 -- Titus Coan’s Description Of Kilauea In 1844. 122 -- King Kamehameha Iii Travels To Mauna Kea And Kilauea In 1846. 125 -- -- Chester S. Lyman's Description Of Kilauea In 1846. 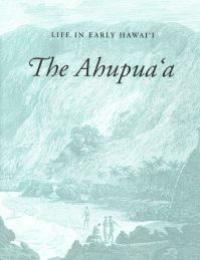 125 -- A Trip To Kilauea In 1847: -- Lodging Available And A Visitor'ss Book Kept By The Native Proprietor. 130 -- Cheever's Account Of Kapiolani's Journey To Kilauea, And Observations At Kilauea In 1850. 131 -- Titus Coan's Letter Of January 1851— Coastal Lands In Vicinity Of Puna-Kau Boundary Described. 143 -- Titus Coan's Letter Of July 1852—Description Of Kilauea And Ascent To Mauna Loa Eruption Site Via Keauhou. 143 -- Rufus Anderson Visits Kilauea In 1863. 144 -- Village On The Shore Of Keauhou Destroyed On April 2nd, 1868. 146 -- Mary S. Whitney Visits Kilauea In 1871. 147 -- Accounts Of Kilauea And Vicinity In Jarves'"History Of The Hawaiian Islands"; (1872). 151 -- The Nature Of Pele And Her Family. 151 -- The Conflict Between Pele And Kamapuaa. 152 -- The Journey Of Kapiolani To Kilauea. 152 -- Historical Sketch Of Hawaiian Volcanoes.. 153 -- The Eruption Of 1868. [Affects On The Land Of Keauhou]. 154 -- The Earthquake Wave.. 156 -- The Crater Of Kilauea.. 157 -- Kilauea And Environs Described By Isabella Bird In 1873. 162 -- The Volcano House Described. 166 -- Henry M. Whitney 1875 The Hawaiian Guide Book-Travel To Kilauea. 167 -- Travel To Kilauea Described In The Hawaiian Kingdom Statistical And Commercial Directory And Tourists Guide" (1880). 170 -- A Geologist's Description Of Kilauea, The Uplands Of Keauhou, And Mauna Loa Ascent In 1882. 172 -- Ascent Of Mauna Loa Through The Uplands Of Keauhou-Observations Of The Koa Forest. 194 -- Professor J.D. Dana And Party At Kilauea In 1887. 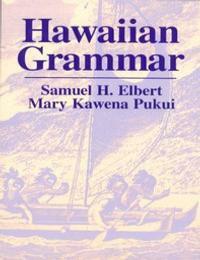 198 -- The Tourist's Guide Through The Hawaiian Islands (Whitney, 1890). 200 -- Travel To Kilauea And Environs In 1913. 205 -- -- Mahele aina-Land Tenure Defined In The Land Division. 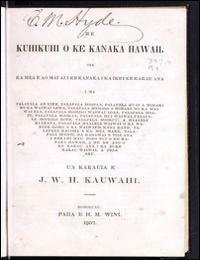 209 -- Disposition Of Keauhou And Neighboring Lands Recorded In The Buke Maheie Of 1848. 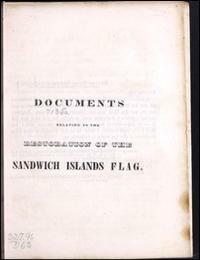 211 -- Boundary Commission Proceedings: Kea Uhou And Neighboring Lands (1873-1876). 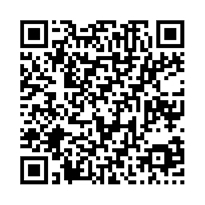 214 -- Resources And Practices Described In Boundary Commission Testimonies. 215 -- Place Names Cited Along The Boundaries Of Keauhou. 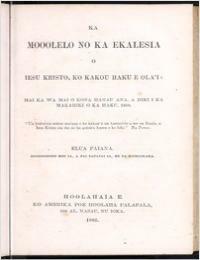 215 -- Lli Of Keauhou, Ahupuaa Of Kapapala. 218 -- Ahupuaa Of Kapapala. 227 -- The Ahupuaa Of Humuula. 241 -- The Ahupuaa Of Olaa. 246 -- The Ahupuaa Of Waiakea. 249 -- Ahupuaa Of Apua. 250 -- Ahupuaa Of Keaau. 255 -- Government Surveys And Roads-Keauhouand Kilauea Vicinity(1874-1898). 258 -- Records Of The Government Surveyors. 258 -- From Native Trails To Government Roads: Kingdom Efforts To Improve Access To And Through Keauhou And Kilauea 1847-1915. 267 -- Volcano House And Keauhou Landing. 271 -- Road Crews At Namakanipaio Prison Camp. 273 -- A Chronological Overview Of Residency And Land Use In Keauhou And Vicinity (Ca. 1848-1937). 275 -- Origin Of Fee-Simple Title In Keauhou. 275 -- Lease-Hold And Fee-Simple Conveyances Of Lands In Keauhou (1860-1937). 275 -- Records From Selected Conveyances Of Lands In Keauhou And Vicinity. 276 -- The Volcano House And Historical Ledgers. 293 -- Excerpts From The Volcano House Ledgers (1865-1916). 302 -- The Kilauea Military Camp. 315 -- -- Lands Of Keauhou Incorporated Into Forest Reserve And Hawaii National Park. 321 -- The Waiakea And olaa Forest Reserves Bounding Keauhou. 324 -- Puu Kuiani And Vicinity Described In 1919. 329 -- Efforts To Eradicate Goats And Sheep From The Mountain Lands. 330 -- The Kilauea Forest Reserve (1928). 331 -- Hawaii National Park. 335 -- Hawaii National Park Established On August 1, 1916. 351 -- Conveyance Of Lands To Formation Of Hawaii National Park (1919-1927). 352 -- Recollections Of Early Days In Hawaii National Park. 370 -- The Eruption Of Halemaumau In May 1924. 370 -- Prayers To Bring About An Eruption (1931). 374 -- "The Crater Of Kilauea". 375 -- "Ka Manu Ha Waii" (The Birds Of Hawaii). 376 -- Haku Mele-Chants And Songs For Kilauea Made And Offered In Modem Times. 376 -- Kamaaina Recollections. 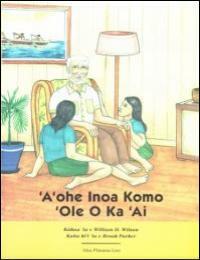 378 -- Historic Interviews With Kupuna. 378 -- Notes Collected By Theodore Kelsey (1920s-1950s). 378 -- Louis Kauanoekauikalikokahalaopuna Panui An Account Of The Battle Between Pele And Kamapuaa, And Dividing The Island Between Themselves (January 5, 1951 - With Flora Kaai-Hayes And Homer Hayes). 379 -- Traditions Of Named Localities On The Shore Of Keauhou (1959). 382 -- Hoohila Kawelo A Family Experience At Kilauea In Ca. 1870 (From Notes Taken By Kepa Maly In June 1975). 383 -- Consultation With The Havo Cultural Advisory Group (2005). 385 -- Overview Of Interviews Conducted For Hawaii Volcanoes National Park (1996-2000). 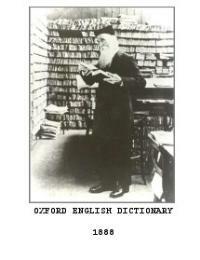 385 -- References Cited. 388.